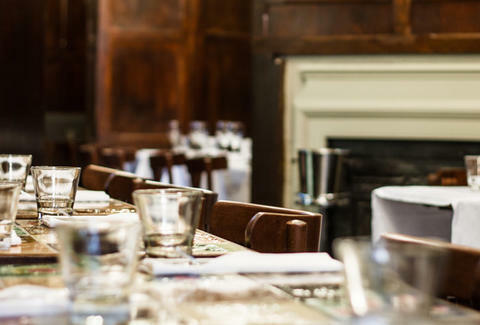 Dropped in the middle of Mayfair, this quintessentially English diner upgrades the greasy spoon with the dark varnished wood & tile flooring of a period drama set in a pub. They're serving native dishes like “beef tea" (oxtail soup w/ pearl barley & dumplings), Yorkshire pork belly in cider, and low-cost dish-of-the-days incl. mead-sauced duck, which, again, doesn't come with a large bill.